Dutch designers at Studio Roosegaarde meld together the natural environment with manmade, interacting to create a wholly new driving experience. Their “Smart Highway,” entitled Windlicht, utilizes windmills lining the highway in the Netherlands, combining them with wind energy to create luminous ropes of light that connect them and illuminate the highway at night. The Studio explained, “Windlicht creates the missing link between the Dutch and the beauty of our new landscape.” Head to The Creators Project to learn more, and watch the video above. Get a head start on your Spring gallery planning with help from this handy guide. Broken down by cities all over the world, from Dubai to Berlin to Sâo Paolo and more, glance at what each has to offer. 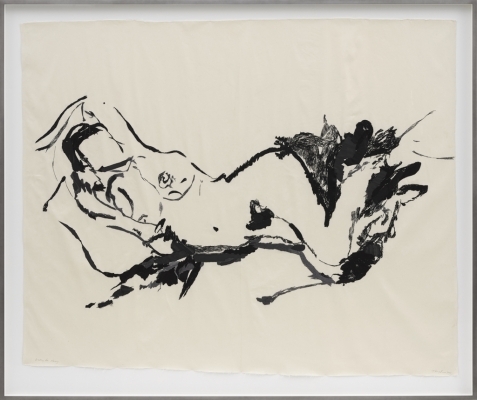 Some highlights we’re excited for – Tracey Emin’s debut in Hong Kong, featuring a sprawling new installation of her confessional work, and Glenn Ligon at Stevenson in Johannesburg presenting spoken word work. 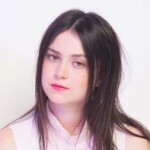 Check out the full list on Artsy. One more to add to your list is our latest exhibition, Fresh Faces. Join Saatchi Art next Thursday, March 24th for Fresh Faces, a show of contemporary portraits opening in Santa Monica. This week on Canvas, we put our Spring Catalog into action to prove how simple it is to renovate your home to adapt to your style. Each of the six works, sourced from Saatchi Art’s Spring Catalog, encompasses a different style, bright and poppy, humorous or minimalist, or whatever you’re drawn towards. Flip through the slideshow to see for yourself how one room can be transformed six different ways. In protest of the forthcoming exhibition Street Art: Banksy & Co. at Bologna’s Palazzo Pepoli, artist Blu took to the streets of the city to paint over his own work. The exhibition’s effort to preserve and present the street art works proved ineffective and highly flawed, going so far as to remove some of the works from their home without the artist’s consent. The show was also organized by one of the city’s wealthiest patrons, a fact that stands diagonally from the fundamental ethos of street art. 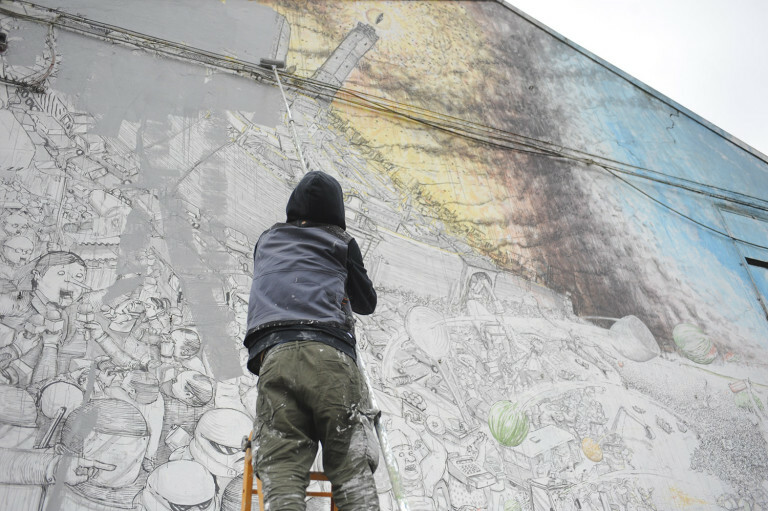 By destroying his murals, Blu intends to keep his work out of private institutions and to protect those who’ve suffered criminal consequences and fines as a repercussion of this type of creation. “I do not strive for realism in my work,” claims Art Venti. The artist instead crafts magically surreal worlds in soft palettes, intricately drawn in colored pencil. His focus on surrealism can be traced back to his childhood; he was even judged at age 14 by the great Dalí in a national competition. 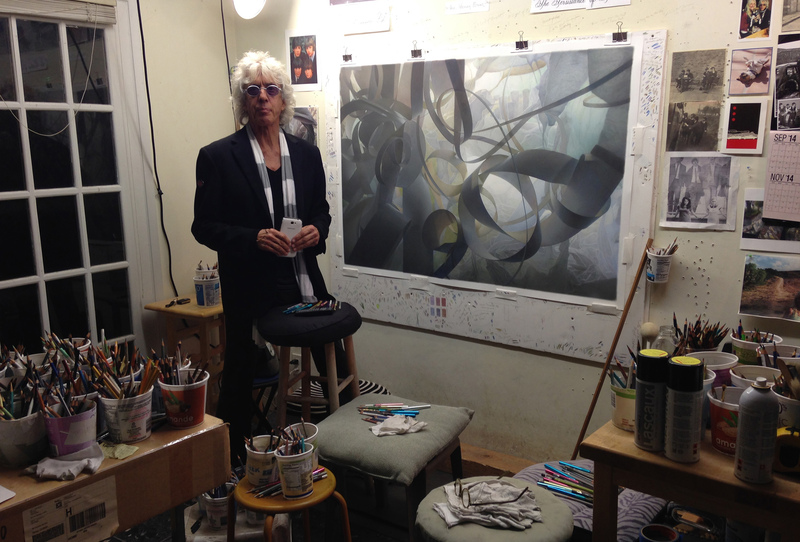 We took a peek inside Art’s studio to learn more about his process, and to see him in action. He bases much of his work on abstract worlds he creates, drawing inspiration from science fiction and past surrealist painters. Behind every great photo still life is a photo assistant, baby powder, tape, and supplies ad infinitum. The above photo series by art director Sandy Suffield breaks the fourth wall, inviting the audience to indulge in all of the secret, behind-the-scenes tricks. Entitled Faking it, Sandy worked with photographer Dan Matthews and food stylist Jack Sargeson to create a series that presents a cheeky take on the artistic process, reminding that much more than meets the eye must happen in creating an image. Check out more from this series.